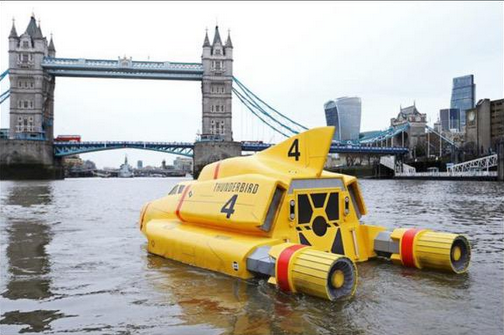 Thunderbird 4 took a trip along the Thames yesterday morning. 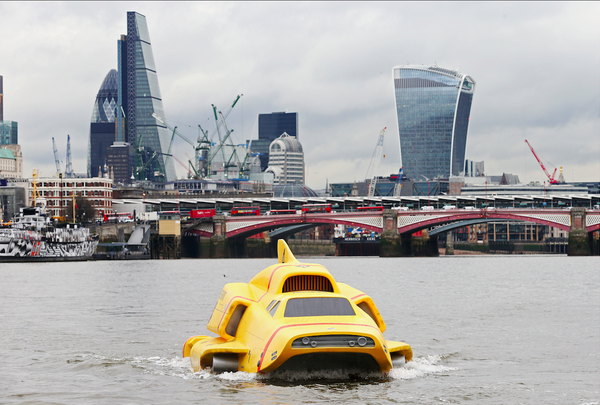 The submersible vehicle – that is best know in Gerry Anderson’s famous puppet-animated television series as undertaking deep sea rescue missions – impressed with speed but stayed above water. Firstly because it was there to be seen, showboating ahead of the broadcasting of Thunderbirds Are Go, a new computer animated version on ITV. 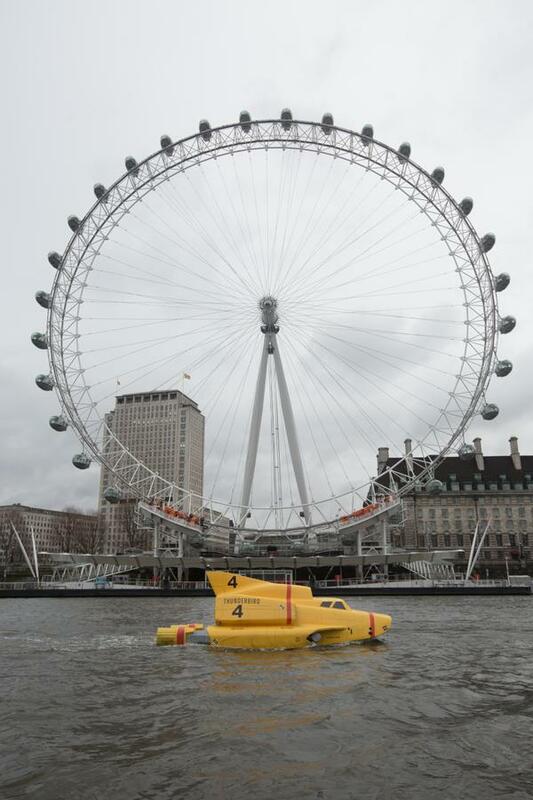 Secondly, it wasn’t really a submersible vehicle but an impressively-well crafted fibreglass replica that took prop-makers six weeks to build. This was, of course, a publicity stunt to remind us to tune-in to ITV on Saturday evening. Not that all of our readers will need reminding, in fact, I hear some fresh Betamax tapes being unwrapped now.